Work for this new project began on October 24th 2016 and despite the daily rains, we have made good progress. 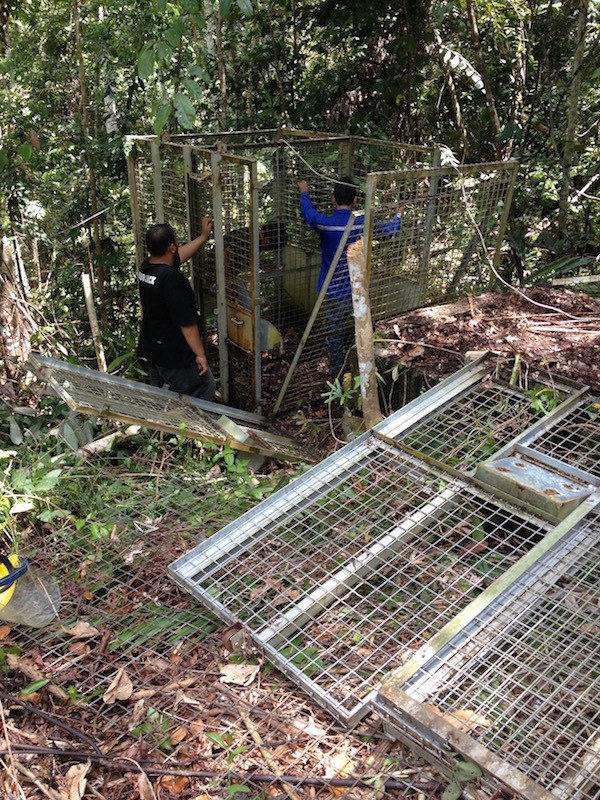 One team is dismantling old 1,25 m2 holding cages that we will later reassemble into 9 m2 holding cages for the new forest enclosures. 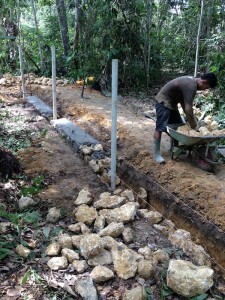 Another team is making the foundation for the future fence of the small enclosure and placing the posts that will support the harmonica mesh and electric fencing. 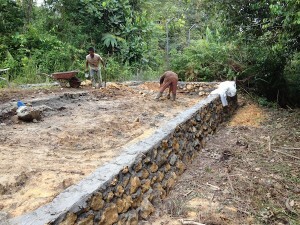 And a third team is making the foundation of the cement flooring on which 3 new holding cages will be placed. I’m happy that after just one week, the project is well under way and looking good. Thank you for your support. Help make a difference for the sun bears of Indonesia by making a donation to Sun Bear Outreach. 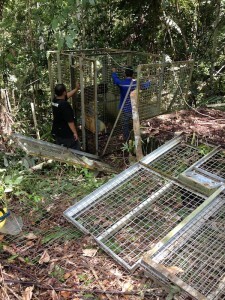 100% of your donation will go for the bears, because Sun Bear Outreach is a non profit charity that has no running cost. All people working for SBO do so on a volunteer basis. © 2015 - Sun Bear Outreach.org.